Chicago families who need a large, capable vehicle will love what the new Volkswagen Atlas can do. This three-row SUV offers a great balance of power and efficiency, an interior with ample room for passengers and cargo, and loads of standard features and optional upgrades. What’s more, the Atlas price points make it accessible to more Chicago and LaGrange drivers. It’s not surprising that Volkswagen Atlas reviews are positive, with Car and Driver calling it “worth the wait.” Get a closer look by touring the inventory available now at The Autobarn Volkswagen of Countryside. Black 2019 Volkswagen Atlas SEL Premium 4Motion AWD 8-Speed Automatic with Tiptronic 3.6L V6 Recent Arrival! Silver 2019 Volkswagen Atlas SEL Premium 4Motion AWD 8-Speed Automatic with Tiptronic 3.6L V6 Recent Arrival! White 2019 Volkswagen Atlas SEL Premium 4Motion AWD 8-Speed Automatic with Tiptronic 3.6L V6 Recent Arrival! White 2019 Volkswagen Atlas SEL R-Line and 4Motion AWD 8-Speed Automatic with Tiptronic 3.6L V6 Recent Arrival! Gray 2019 Volkswagen Atlas SEL 4Motion AWD 8-Speed Automatic with Tiptronic 3.6L V6 Recent Arrival! Black 2019 Volkswagen Atlas SEL 4Motion AWD 8-Speed Automatic with Tiptronic 3.6L V6 Recent Arrival! White 2019 Volkswagen Atlas SEL 4Motion AWD 8-Speed Automatic with Tiptronic 3.6L V6 Recent Arrival! Blue 2019 Volkswagen Atlas SEL 4Motion AWD 8-Speed Automatic with Tiptronic 3.6L V6 Recent Arrival! 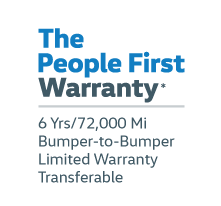 You can lease or finance a new Atlas today, and thanks to our offers and incentives this model is more accessible than ever — almost like a modern day VW Bus. Contact The Autobarn Volkswagen of Countryside in Countryside to ask questions about our new and used SUVs or schedule a test drive.